Those of you who have traveled in central London on the tubes, or visited your local M&S or Primark recently may have noticed something odd about the posters on the walls. They move. Ever so slightly and just to catch your eye as you shop or hurry to your destination. Digital signage or digital escalator panels, as they are known on the underground, are fast becoming a hot media space. And the more interesting, dynamic and eye catching you can make them the better. And with literally only a few seconds to display their wares, DEP video not only has to learn how to take advantage of this growing medium but find a way to grab it by the horns and own it as a selling space. 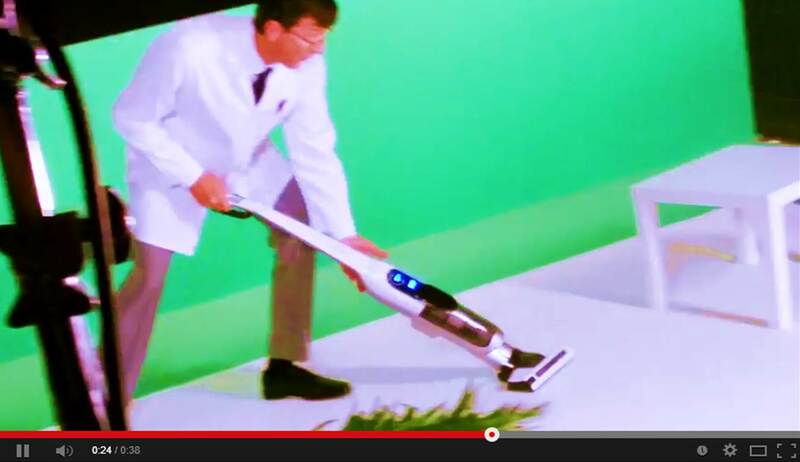 Little Orchard recently did a greenscreen studio shoot for a well know vacuum brand. Click the video to watch some behind the scenes footage filmed and edited by one of our young padwan learners – that’s apprentices to you and me. As a hardened old video producer, it’s interesting to see what our new generation make of the filming process. But then let’s remember, it is the new generation who will grow up with digital signage being the norm. A world where Vine is about all the attention span they have. And where pretty much any digital technology – including domestic appliances – has the potential to serve you video advertising. Imagine your dishwasher or vacuum cleaner playing you an ad for Finish Tabs or Fabreeze! A combo of live action filming and animation is what it takes to create DEP video and Little Orchard can provide the whole service from concept, through production and delivery to the several owners of Digital signage already out there. Ask one of our producers on 0845 838 7396 now how your product, service or brand can come to life and leap out of a poster near you.